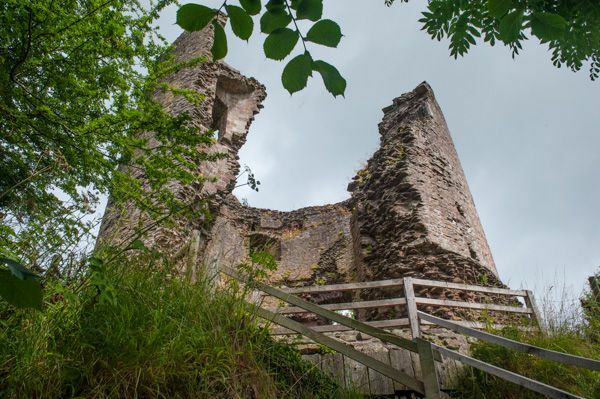 Longtown Castle is a Norman motte and bailey fortification set in remote Herefordshire countryside close to the Welsh border. The motte and north and south baileys were constructed shortly after the Norman Conquest. 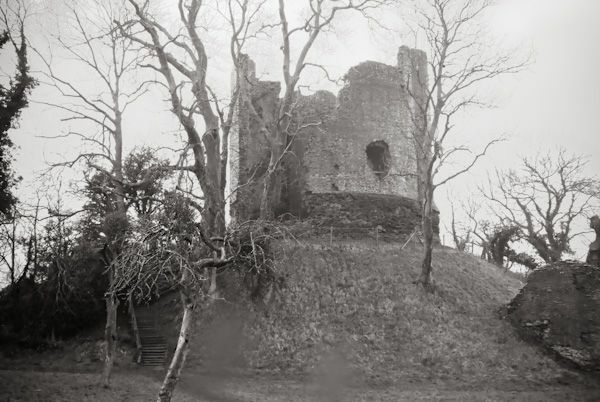 An additional east bailey was added later and a stone keep was built atop the motte in the 12th century. The entire complex was surrounded by a curtain wall sometime in the 13th century. 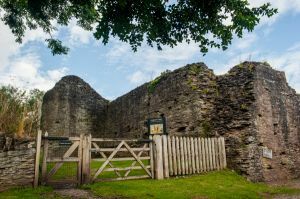 The site is approximately 3 acres in size with an entrance gateway in the south wall. The square nature of the site has led some historians to speculate that there was originally a Roman fort here, but no Roman finds have been discovered to support this theory. 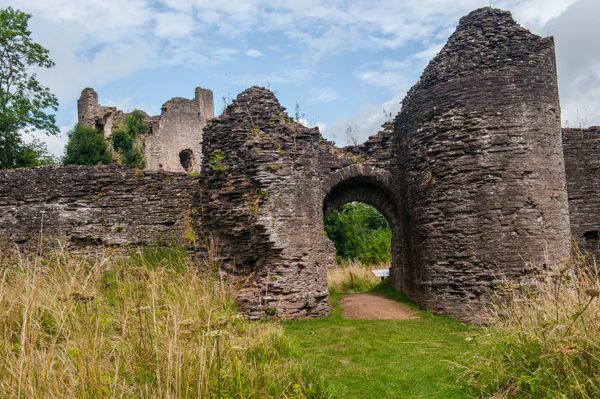 An alternative theory is that Longtown was established by Earl Harold Godwinson of Mercia in the 10th century as a Saxon burh, or fortified town. 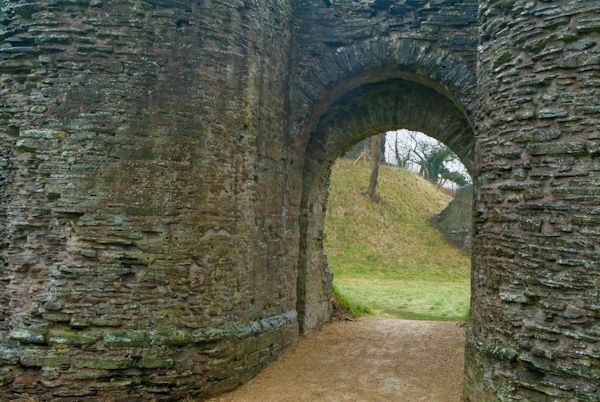 The castle remains consist primarily of a tall enclosing wall with a simple gateway, built around 1220. The wall surrounds an inner bailey, with a central keep which rises three stories high. 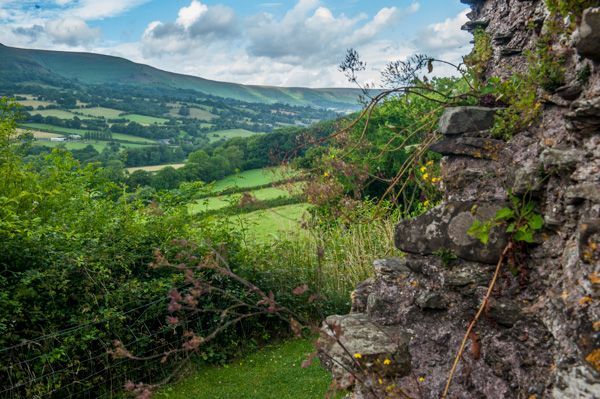 There are fabulous views west into the Welsh borderlands from the top of the keep. 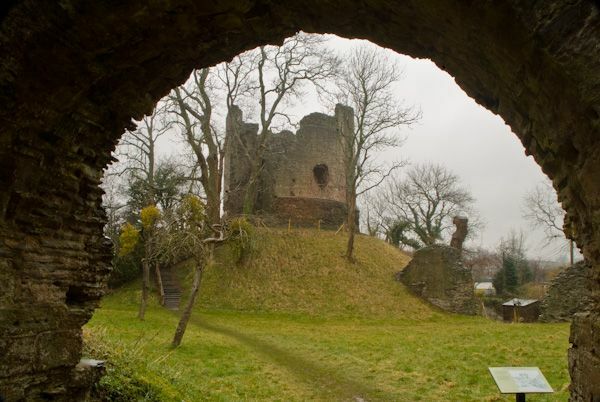 The stone keep was built by Walter de Lacy from 1216-1231 to defend a new Norman 'colony' town of Ewyas Lacy. Settlers were rented burgage plots at right angles to a long central street. The 'burgesses', or occupiers of the burgage plots, paid an annual rent to the de Lacy's, who also gained income from renting out stalls at regular weekly markets and an annual fair. The Lacy's lost control around 1230, but the town flourished into the 14th century when it was devastated by the Black Death. 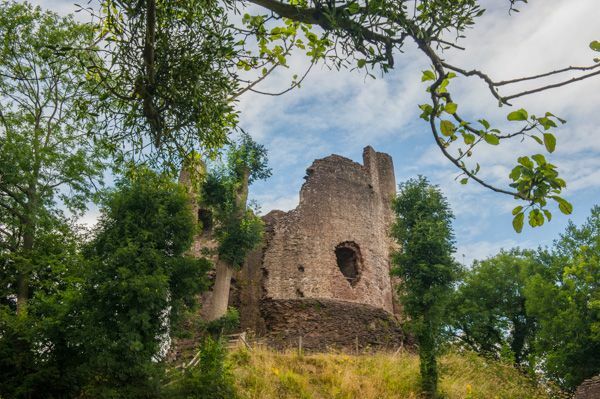 By 1540 the town was referred to in an official document as 'Longa villa in Ewias Lacy', a name that was simplified over time to become 'Longtown'. The keep originally served as accommodation in times of peace and as the last line of defence in times of trouble. The tower is built of rubble with cut stone dressings for the door and window openings. At the base of the structure was a basement, used for storage, and two storeys above, reached by a spiral stair in the thickness of the walls. 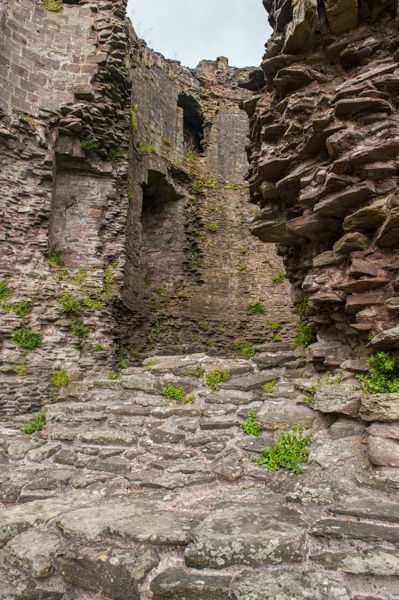 You can still see fragments of the staircase, decorative stone around first-floor windows, and a garderobe, or latrine projection from the upper chamber. There are no facilities at the castle site, just a very small parking area and a few information panels that were looking rather the worse for wear when we visited. 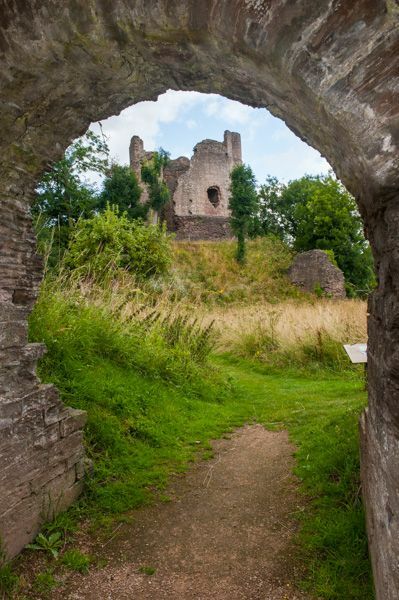 But the location is wonderful, with superb views into Wales from the top of the motte, and enough of the keep remains to give a good idea of what it must have looked like in the 13th century. Location: Off the B4347 4 miles west of Abbey Dore. Signposted in Longtown village.